This is one of the most popular holidays on the Embrace schedule. The Alps Running Holiday filled up like hotcakes in 2017 & 2018! We are back to the French Alps again in 2019 with another amazing schedule. The Alps is most famous for the Tour de France but its a hidden gem for runners. 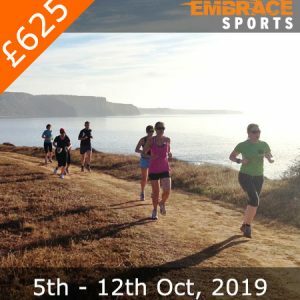 The landscape is breathtaking and Embrace has done the ground work to showcase some of the most beautiful runs you will ever see. 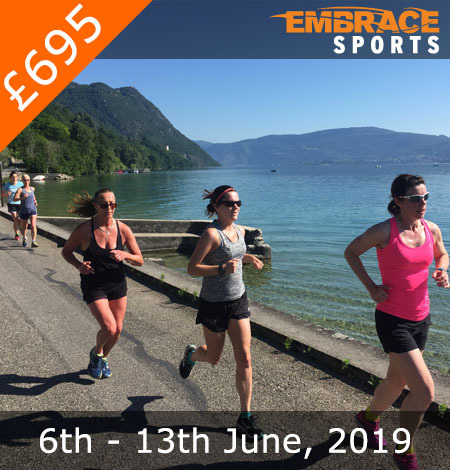 Combining great training, the perfect Chateau and of course being around positive like-minded runners, this will be your perfect running getaway. One of the best holidays I’ve had. The coaching is first class. Whether its training, nutrition, recovery or anything else to do with fitness, there really isn’t much the coaches can’t advise you on. My endless amounts of questions were answered really well and I was given the information and experience I needed to take my training to the next level. The week was structured really well so that I was prepared for the final epic challenge! Additionally, the food that is prepared at the Chateau was awesome. It was all cooked from scratch and I even learnt quite a bit about cooking. Everyone mucked in with the cooking and everyone sat down together for the meal in the evening which helped to create a great family feel. 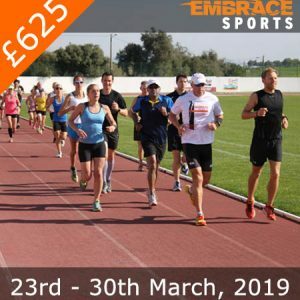 I would highly recommend Embrace to any runners (and even non-runners looking to start) and I look forward to coming back to do another camp. This was my 5th embrace holiday but my first outside of Portugal. As expected everything was fantastic – coaching, running locations, food, other runners. All embrace holidays are terrific value for money with superb accomodation and food throughout the week and the Alps was no exception. The sessions in the Alps really focused on preparing you for the big run up Alp d’ Huez so expect a lot of hills! You don’t really mind though as the locations are stunning and you really do surprise yourself with the types of runs you can achieve. Another terrific week with the Embrace team. No doubt I will be back again! What a brilliant week! This was my first Embrace trip and was made to feel welcome right from the start. Many thanks to the coaches Neil, Kat and Graeme who worked tirelessly throughout the week and enabled everyone to relax and just focus on running and recovering. The week was structured very well, building up to the final challenge of running up Alpe d’Huez which was pretty epic and will live long in the money. A great value trip as well given the fantastic location and delicious food. Couldn’t recommend this highly enough! A great holiday! This was my second embrace holiday having been to portugal a few years ago. I really enjoyed the relaxed feel of the Chateaux and as always the Embrace team made us all feel really welcome and fed us really well with their excellent home made food. I arrived with a bit of an injury which I was bit worried about but Neil had arranged bike hire for me which I really appreciated and I was very grateful of the flexibility they all showed – helping me with routes but also ensuring that I could be part of the group activities where possible. It was a fab week and I’ll definately be back to run up Alpe Duez rather than cycle!! These training holidays are just Amazing. 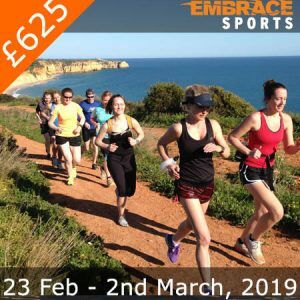 This was my 4th holiday with Embrace Sports but the first time outside of Portugal. I did initially think that the experience wouldn’t be as good due to not being in the great complex in Lagos but I had nothing to worry about. It just shows that the Embrace team can put on a holiday anywhere and it will have the same vibe and friendly feel. A great structure to the week which builds you up nicely to the brilliant climb up Alpe D’Huez. A tough climb but you’ll want to take your time just to soak up the scenery. The overnight stay up in the mountains also add to the overall experience. You meet some great people on these holidays and I’m already looking forward to my next Embrace trip for a good catch up. Fantastic week of running. Well defined and structured week building strength and confidence in your running towards the centrepiece Alpe d’Heuz climb at the end of the week. A small camp, great food and stunning views – well worth a booking! This was my 2nd Embrace holiday and yet again it was fantastic! The accommodation, food and training were all great. The sessions throughout the week definitely prepared me well for the EPIC Alpe D’Huez challenge at the end of the week. Looking forward to the next running holiday! with the highlight running up Alpe D’Huez. The coaches were friendly & knowledgeable & served up delicious food. Can’t wait to return. As a regular Embrace holiday maker, I’m always interested in what the team will come up with next. They delivered a real winner with this break in the French Alps. The week’s shedule – with 2 significant climbs before the Alpe D’Huez challenge looked tough. And it was – but eminently doable. And those tarmac based runs fully prepared me for an amazing run. My confidence in my running abilities has gained a boost. I met and remet a bunch of lovely people. And the accommmodation and views were stunning. Haven’t done much hill running before and this holiday has encouraged me to pursue more hill and trail running. The coaches are always great, the food delicious, and the scenery beautiful.